10/17/2018 Washington D.C. (International Christian Concern) – In its latest attempt to ensure that religion is under the government’s control, Wenzhou city, also known as “China’s Jerusalem,” has set up a three-person team mechanism to monitor religious venues with the goal of checking on security, collecting information, providing guidance and education, and keeping an eye on their activities. In a series of undated photos recently published online by the Chinese Christian Fellowship of Righteousness, several Powerpoint slides which appear to be training materials for local officials lay out details of the composition, objectives, and implementation of this new measure. The three-person teams will be comprised of select leaders of local offices. Each team will be assigned to specific religious venues and is responsible for monitoring them. The teams will check on each religious venue based on five “Ones.” Each location must have the following: one patriotic flag, one theme [to align faith with government’s agenda], one educational workshop, one bulletin with propaganda materials, and one set of management rules. They are also responsible for registering the venues with the Ethnic and Religious Affairs Intelligence Control System, a software installed last year by Wenzhou city’s Ethnic and Religious Affairs Bureau with the goal of strengthening the administration of these affairs and improving the management of fire, building, and activity safety at religious venues. In addition, every month, they must conduct at least two safety inspections, provide two educational guides, submit one report to the authority, and preemptively deal with any situations on-site that could lead to problems later. The slides also provide several pointers for the team members to identify and report violations among religious venues: 1) Do religious activities take place at the religious venue? 2) Are religious activities being administered by foreigner(s) or is there any foreigner present? 3) Are there any minors who are participating in the religious activities? 4) Are the religious activities pre-approved according to the law? 5) Are the religious activities of regular occurrence? Although there is no explicit mention of which religious venues the government is targeting, given the high percentage of Christians in Wenzhou, it is safe to assume that churches will be greatly impacted by this new measure. Wenzhou was targeted in an aggressive cross removal campaign in 2014, where it saw thousands of crosses toppled and churches demolished. Government-sanctioned churches and house churches alike could not escape this fate. Dozens of Christians were detained and imprisoned and, though most of them have been released, a few still remain behind bars for defending their crosses. A few days ago, on October 11, a Catholic church in Lingkun saw its cross toppled after the last cross in Wenzhou was removed four years ago. The perimeter wall in front of the building was also demolished. Some are concerned that another crackdown may be looming as numerous cases of cross removals and forced church closures are spreading across China, including in Henan, Beijing, Guangzhou, and Chengdu. Additionally, the Chinese government has crafted a five-year plan to make Christianity align with socialism, in which there will be a new interpretation of the Bible. The plan enacted by state-sanctioned organizations Three-Self Patriotic Movement (TSPM) and China Christian Council (CCC) has a goal to “Sinicize” Christianity. 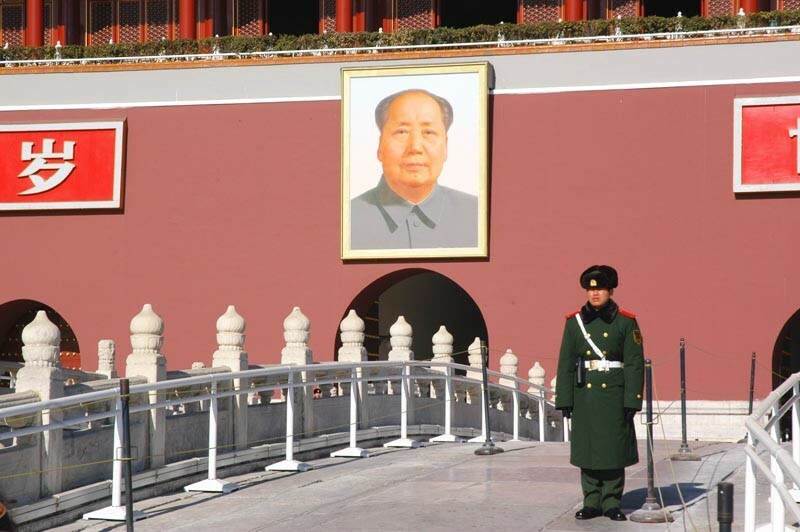 Beijing is getting more creative with the ways they persecute the Church in China. We must pray that Chinese Christians are equipped with godly wisdom to deal with the challenging and evolving oppression surrounding them daily.